Dr. Seymour Papert is best known as the inventor of the Logo programming language, a tool for teaching children problem solving, but his influence in education goes much further than that. 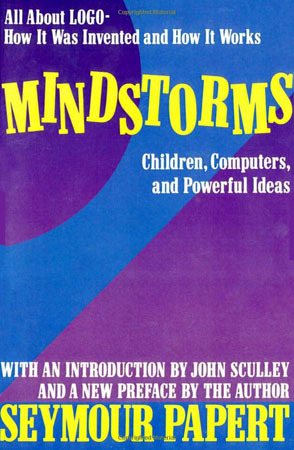 Papert has always been a visionary where computers and education intersect, and it is incredible how glacially society has moved to embrace his proposed pedagogical recommendations. The problem of cost has not gone away, but it may be overestimated how much it would cost to put a computer for every child in a school. $1,000 a child spread out over 12 years? Plus, the use of computers could accelerate learning, maybe even cut a year off of the amount of time it takes to educate a student, saving 1/12th the cost of a child’s total education. Papert was talking about computers in 1980 dollars, before the home PC had dropped in price to today’s more accessible levels and magnified power, so today the above statement is even truer. One laptop for every child in America would cut the number of years necessary to educate our children and enhance the quality of their education dramatically. One of my favorite topics in Papert’s book is when he discusses how computers empower writing. Rewriting is an alien concept to most kids in a hand-written medium, because the process is too laborious. I recently dug up my high school essays and the many handwritten drafts I had to go through at the teacher’s prompting. What a boring way to spend my time. Once a child writes on a computer, the rewrite focuses on enhancing the finished product, not the tedium of rewriting it. What if writing itself is a problem? Papert notes that “…a child who has become enamored of logical order is set up to be turned off by English spelling and to go on from there to develop a global dislike of writing.” Luckily, the computer allows so many other means of expression. A child turned off by writing may turn to audio, video, and graphical arts to express themselves. “The educator must be an anthropologist. 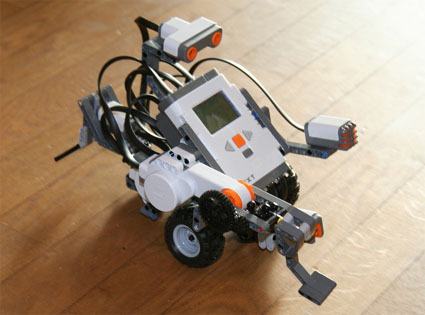 The educator as anthropologist must work to understand which cultural materials are relevant to intellectual development,” Papert argues in Mindstorms. Thirty years ago he warned of the impending divide between “computer cultures,” pre-computer vs computer-literate. While the gap between the computer haves and have nots has arguably narrowed in America, the importance of information technology in our lives means that anyone left out is left far far behind. Papert recognizes that there are two possible means for children to interact with computers. Along one path, the computer is used to direct a child’s learning. In the other, the child chooses their own path of discovery. Either the computer programs the child or the child the computer. It’s the difference between knowing-that vs knowing-how, propositional-knowledge vs procedural knowledge, and facts vs skills as Papert describes it in so many ways.